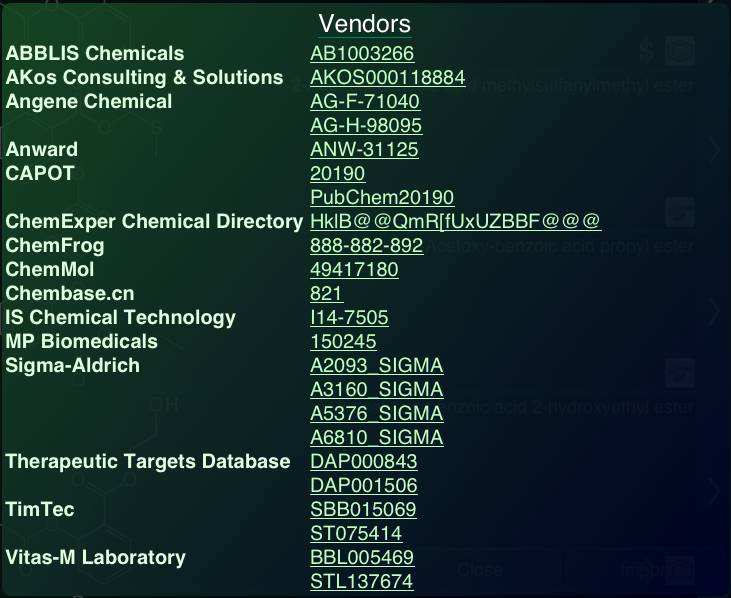 Users of the PubChem service may have noticed that the hit records include a list of vendors and links to the compound records for their site (e.g. see here). The Mobile Molecular DataSheet (MMDS) app, among others, can tap into PubChem to search by name or structure. The next version makes use of the vendor information, and provides this to the user as part of the search results. 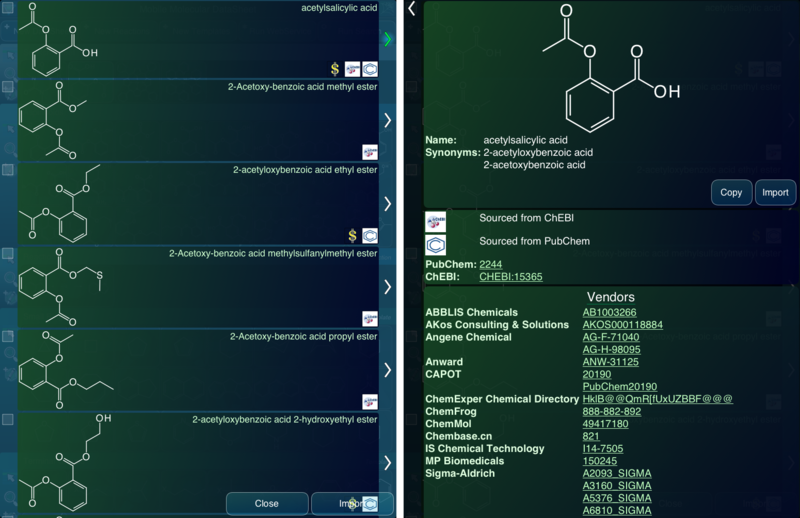 The intermediation is done by the “meta search” layer, which runs on molsync.com, and currently integrates name and several types of structure searching (exact, substructure, similar, template) by wrapping the PubChem and ChEBI services (more to be added later). The API now has a generic container for vendor information. The PubChem PUG API is further exploited to query a list of substance providers, and filtered by the category of organisations that are willing to sell the compound to you. There can be any number of vendors offering this service for a given compounds, and they can provide any number of forms in which it can be purchased, i.e. multiple products. Each of the products is labelled according to the vendor’s own ID naming system, and is a link: tapping on it will jump to the appropriate page on the vendor’s website. This enhancement will most likely be rolled out for MMDS first, but MolPrime+ and SAR Table will follow.